Four Seasons Resort Mauritius at Anahita is one of the largest luxury resort in the Indian Ocean, with over 130 villas and residences, covering 64 acre of private sanctuary in the Eastside of the Island. It takes approximately 45 mins to travel from the International Airport, and one can definitely get a nice glimpse of what this beautiful island has to offer along the coastline. One of the special feature at this resort property is to meet their lovely giant Aldabra tortoises! They are wonderful to hang out with and are super friendly, it is definitely be a memorable encounter and adds to the entire experience of being in the Indian Ocean. One of the unique highlights of the villas in Four Seasons is that there is a private plunge pool in every guest room, which gives ample space and privacy to their visitors. There are a total of 15 different types of rooms and villas to choose from, ranging from one bedroom to five bedroom villas. The spa facility here at Four Seasons Mauritius provides 4 different type of treatment technique, from which my favorite one is the Terres d' Afrique, it uses a bamboo roller to help release the tension in your body, with minimal stretches and acupressure point massage, allowing you to feel energized. There are also many different types of beauty services, including facial, hair treatments, and different wellness activities, ensuring one feels rejuvenated when leaving the spa facility. In addition, the spa is also famous for its coconut and aloe island ritual. 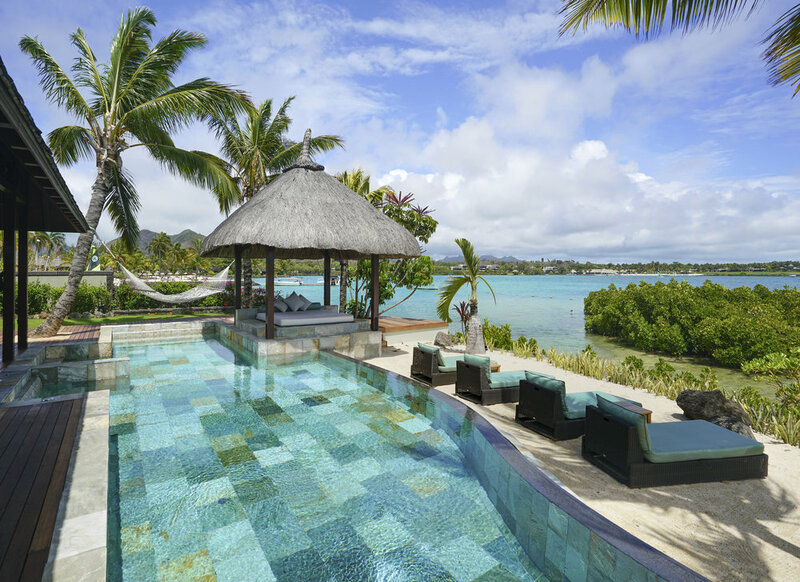 At Four Seasons Mauritius, the ingredients are freshly picked from the spa garden and prepared by the spa therapists. For golf-lovers, Four Seasons offers unlimited complimentary golf for all guests. There are 4 different restaurants here at Four Seasons Mauritius. Beau Champ, the main dining where breakfast is served, located adjacent to the lobby, serves international cuisine for breakfast and modern French bistro for dinner. It also has a spacious wine cellar that covers more than 400 different labels. Acquapazza, serves contemporary Italian cuisine with fresh local seafood, over looking the resort's lagoon at dinner time and enjoy sunset is a lovely feeling. Il Forno, serves Mediterranean favorites during lunch, and traditional Italian food for dinner.